Is It Time to Demo Your Deck? Your deck takes a lot of abuse: driving rain, pounding hail, blistering heat—and everything in between. Add in wood-loving insects and the passage of time, and it is clear why decks have a finite life-span. If you’ve noticed some areas of rot or termite damage, you’re probably wondering what your deck’s prognosis is. A professional can inspect your deck and determine whether repairs or a full deck replacement is in order. An annual inspection is the best way to decide the fate of your deck. If the inspector sees localized areas of damage, repairs can correct and halt ongoing problems. On the other hand, if he or she finds large areas of structural damage, deck replacement is the best option. No matter the type of damage, it’s important to determine its cause so you can keep the same problem from happening going forward. During the inspection, the inspector will be probing with a pointed tool to find soft, mushy wood. He or she will also look for strangely colored water stains. The inspection may start with an assessment of the base of the posts, specifically where they sit on concrete blocks or contact the ground. The inspector will look at the areas where the deck is attached to the house and check the flashing for rust or holes. He or she will inspect the beams and joists underneath the deck as well as search for mold, termite tunneling or cracks that are deepening on the surface of the deck. Next, the railing system will be scrutinized for wobbly posts or loose handrails. Finally, the inspector will conduct a walk test, feeling for any “give” or sponginess when walking across the deck. 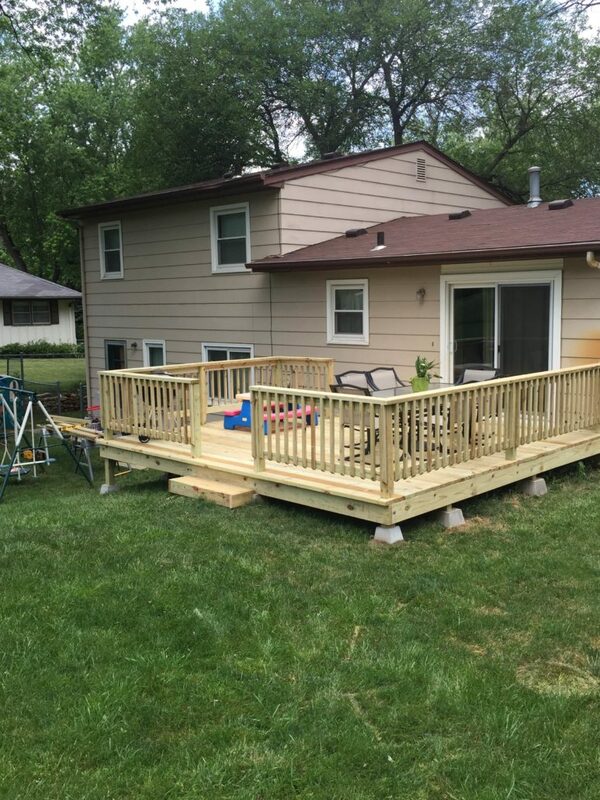 With the inspection results in hand, you’ll be able to make minor repairs that extend the life and safety of your deck. Of course, the inspection report may call for demolition, in which case it’s time to discuss deck replacement with a licensed contractor. http://gkconstructionco.com/wp-content/uploads/2017/08/IMG_1842.jpg 3264 2448 admin http://gkconstructionco.com/wp-content/uploads/2017/08/G-K-Construction-Logo-80x80.png admin2017-08-18 13:28:562017-08-18 13:28:56Is It Time to Demo Your Deck?